This apartment provides a spacious setting to enjoy breathtaking views of the surrounding cityscape. Completely modern in design, and constructed with a nod toward environmental living, each unit features state-of-the-art finishes, sleek oak pearl hardwood flooring, and expansive floor-to-ceiling glass walls that welcome exceptional light. Perfectly set up for both the novice chef and the accomplished gourmand, the kitchen is outfitted with Energy Star Miele, Sharp and Italian design SMEG appliances, seamlessly integrated into a modern backdrop of white pine cabinetry and Corian tiles and countertops. The bathroom is cast in a subdued color palette of gray, light wood, and crisp white, featuring energy efficient Darius Design fixtures and custom-mounted teak cabinetry. 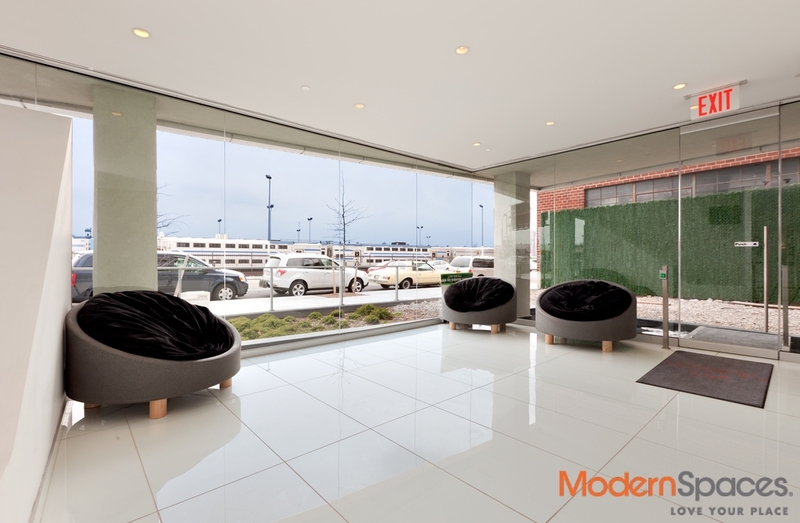 The building amenities include a full time concierge, a fitness center, an on site garage, bike storage, cold storage, a lounge, a nursery, a landscaped garden area with grills and benches, and a common terrace that spans the width of the building. Long Island City as a neighborhood is poised to be the Next Big Thing. Populated with artists, visionaries, entrepreneurs, and innovative small businesses, it represents a forward-thinking approach to life. Dotted with cafes, quirky boutiques, restaurants – and home to New York City’s much-beloved Fresh Direct – it is conveniently located near Brooklyn’s hottest hoods and just a hop, skip, and a jump to Manhattan. 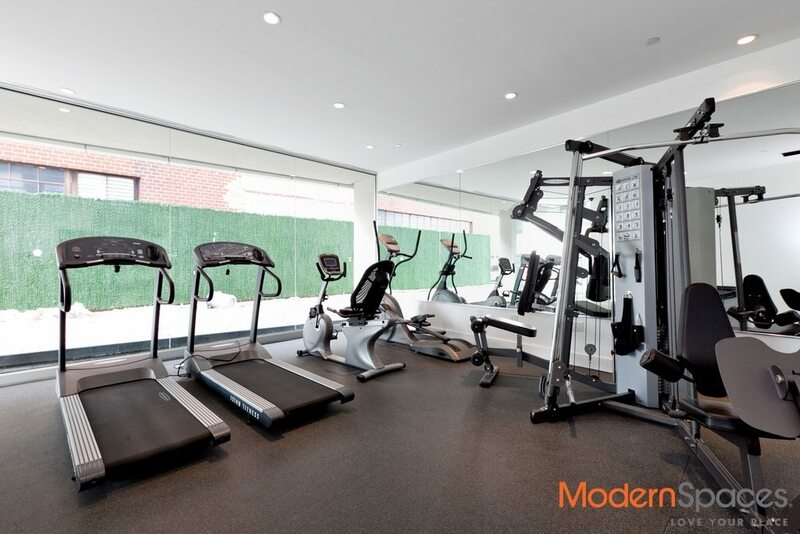 Please call Mary Beth @ 415-225-0463 or email Marybeth@modenspacesnyc.com to set up a viewing. This apartment provides a spacious setting to enjoy breathtaking views of the surrounding cityscape. 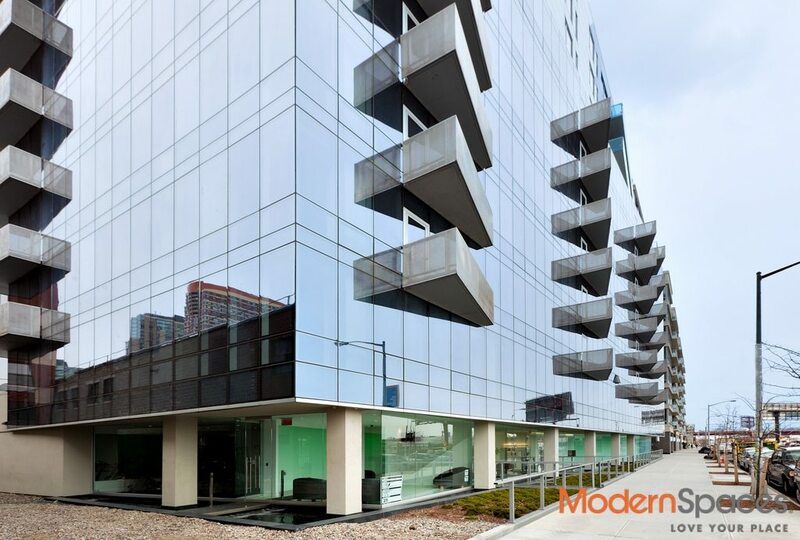 Completely modern in design, and constructed with a nod toward environmental living, each unit features state-of-the-art finishes, sleek oak pearl hardwood flooring, and expansive floor-to-ceiling glass walls that welcome exceptional light. 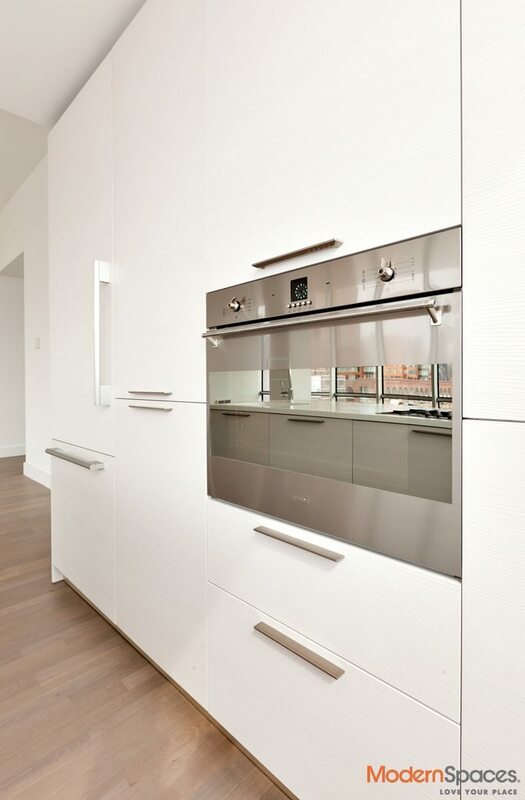 Perfectly set up for both the novice chef and the accomplished gourmand, the kitchen is outfitted with Energy Star Miele, Sharp and Italian design SMEG appliances, seamlessly integrated into a modern backdrop of white pine cabinetry and Corian tiles and countertops. The bathroom is cast in a subdued color palette of gray, light wood, and crisp white, featuring energy efficient Darius Design fixtures and custom-mounted teak cabinetry. The building amenities include a full time concierge, a fitness center, an on site garage, bike storage, cold storage, a lounge, a nursery, a landscaped garden area with grills and benches, and a common terrace that spans the width of the building. Long Island City as a neighborhood is poised to be the Next Big Thing. Populated with artists, visionaries, entrepreneurs, and innovative small businesses, it represents a forward-thinking approach to life. Dotted with cafes, quirky boutiques, restaurants - and home to New York City's much-beloved Fresh Direct - it is conveniently located near Brooklyn's hottest hoods and just a hop, skip, and a jump to Manhattan. 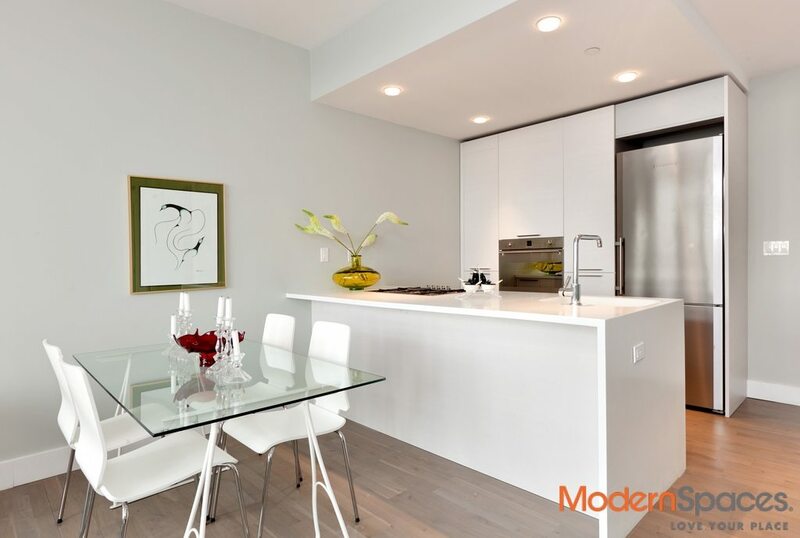 Please call Mary Beth @ 415-225-0463 or email Marybeth@modenspacesnyc.com to set up a viewing.